The $10 billion East Side Access will provide new Long Island Rail Road service to the east side of Manhattan, supplementing existing service to Penn Station on Manhattan’s west side and Atlantic Terminal in Brooklyn. 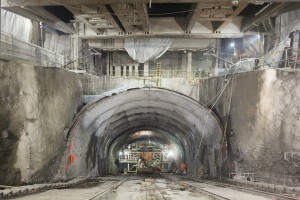 The East Side Access megaproject is one of the largest U.S. transportation infrastructure projects currently underway and has a history that reaches back to the 1950’s when discussions were first held regarding regional transportation planning. The project encompasses work in multiple locations in Manhattan, Queens and the Bronx and includes more than eight miles of tunneling. Amtrak, in partnership with the New York Empire State Development Corporation (ESD) and its subsidiary Moynihan Station Development Corporation (MSDC), is creating the future home of Amtrak’s New York City passenger operations within the new Train Hall in Moynihan Station. Moynihan Station expands the nation’s busiest train station, Penn Station, across 8th Avenue into the historic James A. Farley Post Office Building, part of a mixed-use redevelopment of the entire block. Moynihan Station will offer enhanced passenger facilities for Amtrak’s Northeast Corridor (NEC) and long distance travelers, including accessibility for passengers with disabilities, all within a grand Train Hall featuring a sky lit atrium approximately the size of the Grand Central Terminal’s Main Hall. In concert with the forthcoming Penn Station renovation, to better serve commuter rail passengers and Amtrak’s intercity passenger arrivals, expansion of Amtrak’s passenger services into the new Moynihan Station will relieve existing station crowding and improve passenger comfort and security. Moynihan Station is being constructed in two phases. Phase I, now complete, created the “West End Concourse.” The new concourse provides new stairs and elevators to boarding platforms, passenger circulation space and a new entrance across 8th Avenue from Penn Station. Phase II, now in early-stage construction, will create the Moynihan Train Hall, a world-class intercity and commuter passenger boarding concourse for Amtrak and MTA-Long Island Rail Road passengers. The facility will provide relief to Penn Station’s crowded boarding conditions for Amtrak’s intercity passengers and MTA-Long Island Rail Road commuter rail passengers. Accommodations will include a sunlit atrium boarding concourse, a combined ticketing and baggage unit, a new ClubAcela Lounge, a new reserved customer waiting room, retail and food shops. 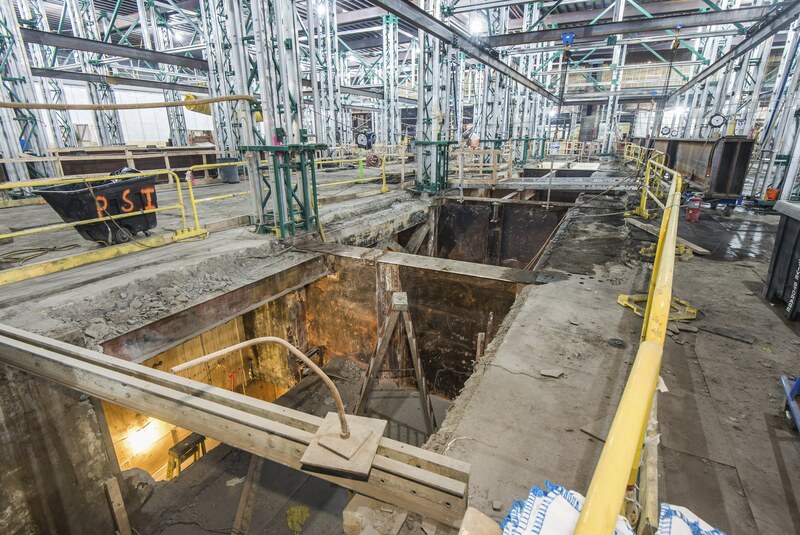 The Moynihan Train Hall is expected to be fully completed in 2021.